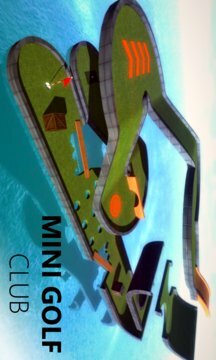 Mini Golf Club is a realistic 3D mini golf simulator with fun gameplay and hundreds of challenging levels. Combining beautiful graphics, realistic physics and easy-to-use controls, Mini Golf Club is challenging yet fun sport game for all ages. Your goal is to hit the ball into a series of holes on a course using as few strokes as possible. - Tournament: Play a large collection of pre-made and user-made courses with 9 holes each. The fewer strikes you have at the end of the course the better. - Practice: Practice each level individually to improve your shooting and aiming skills. Completing the levels are easy but mastering them takes time. - Versus: Play turn-based matches for up to 4 players locally on the same device. Challenge your friends and family. - Premium: Unlock special premium levels with unique characteristics. Endless hours of fun is guaranteed. - The game features 300+ interactive holes with dynamic parts and moving obstacles. - Levels contain a huge variety of ramps, turns, tunnels, slopes, jumps, sand traps, special boosters and portals. - Boosters like wind zones or jump areas physically accurately interact with your ball. 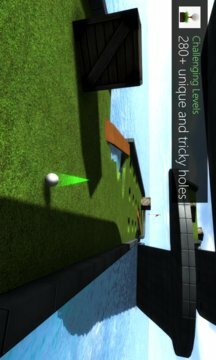 - Mini Golf Club has high replayability thanks to the advanced physics engine. - You can play the same level multiple times and you get a different gameplay experience each time. - The game contains an easy-to-use course editor where you can create your own holes from basic building blocks. - Save your cool creations to play or improve them later. - Send us your best levels for a chance to be included officially in the player-made course collection. - Have you ever performed a funny or lucky shot you wanted to show to your friends but they weren't around? - The replay system allows you to record your gameplay locally and replay it later. - Just finish the actual level and save your game session on the scoreboard. Supports touch, keyboard, mouse and Xbox 360 controller. Touch control is preferred instead of mouse on 2 in 1 devices, but you can still use keyboard to control the ball. If you have any feedback to share about the game, please write us at contact@obumogames.com. We really want to hear what you have to say!